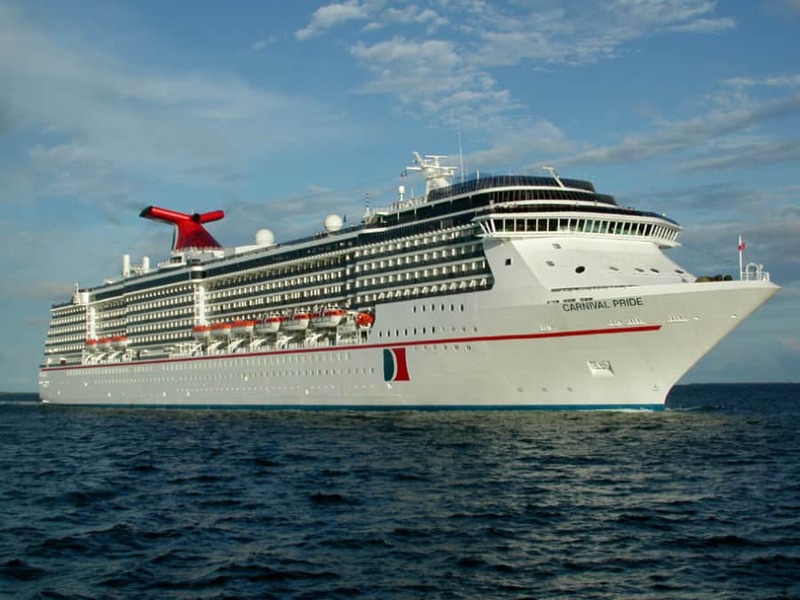 Carnival Pride will have a delayed arrival into Baltimore on Sunday, November 25 due to an issue with the maximum cruising speed and weather conditions. Carnival Cruise Line has stated that Carnival Pride’s arrival into Baltimore, Maryland tomorrow will be delayed. The ship won’t be arriving until the afternoon instead of the usual early morning hours. The ship is suffering from its maximum cruising speed and due to adverse weather conditions, the delay is unavoidable. The disembarkation for guests from the 7-night November 18 sailing will commence not long after the ship docked at Baltimore but this will have a knock-on effect for the next scheduled voyage. Guests who are arriving at the cruise port for the November 25 departure will have to wait. Carnival is delaying the process by four hours with the process starting at around 4:30 PM. Carnival Pride is now scheduled to depart Baltimore after 7:30 PM. Guests on the upcoming sailing on Sunday will receive a $15 credit which will be added to the Sail & Sign account. Even though the vessel will have a delayed departure the itinerary will continue as scheduled. The ship will sail a 7-night Bahamas cruise including calls at the private island of Princess Cays, Nassau and Freeport before returning to the homeport on December 2. This is not the first time a Carnival ship has experience issues with propulsion and the maximum cruising speed, it probably won’t be the last time. In October the Carnival Sunshine was forced to stay longer in port due to a mechanical problem and Carnival Victory had a maximum speed problem and the cruise line had to cancel ports. Norwegian Jade operated by NCL had a propulsion issue forcing the cruise line to cancel the entire voyage so urgent repairs could take place. Carnival Pride is a Spirit-class ship at 88,500 gross tons along with a guest capacity of over 2,100 at double occupancy.